Did you see it? A whopping 12.5% in a day! As usual, this stock call was posted here on Sunday. Those who have profited from it, kindly help the helpless elderly and disabled on the street by buying more tissue from them. It will be good if you can buy the whole bag from them. If anyone do that, please take a photo of it, send to me and I promise you that you will get more money making tips from me. The global market had recovered from 2 week of selling. In the next few days, it will be a period of making easy money again from the market. I am extremely excited about it. Do follow and trade my stock call closely as I foresee that many stock will just shoot up in the next few days. Trade According To The Chart. No If, No But. 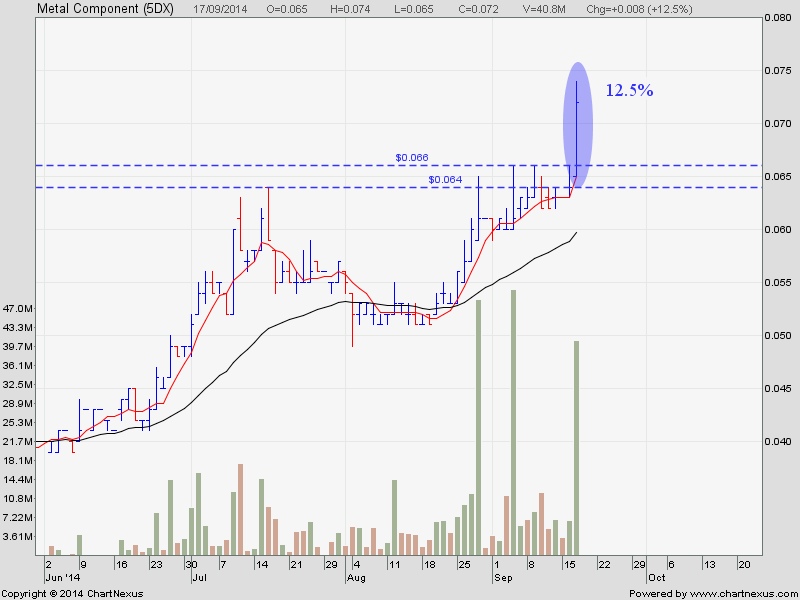 1) Watch out for Sino Construction as posted here. It is gonna become like a firework soon.